Questions to Senator Peter Harder, Government Representative in the Senate, seeking clarification on newly introduced defence spending & Canada’s assumed role in international missions. Hon. Larry W. Smith (Leader of the Opposition): My question today is for the Leader of the Government in the Senate. Yesterday, the Minister of National Defence unveiled the government’s new defence policy. I think we can agree that many of the initiatives are potentially important to ensure that the Canadian Armed Forces are able to sustain key core capabilities in the decades ahead. However, there will be a need for the government to actual follow through. For instance, there is a decided lack of clarity when it comes to renewing Canada’s national fighter capability. The defence policy document indicates that the budget of the new fighter program has been enhanced to ensure that the Royal Canadian Air Force can acquire 88 new fighters; yet under the government’s plan, those aircraft, if and when ordered, will not arrive until a decade from now. In the meantime, the life of the current CF-18 fleet will have to be extended, and the government is also still musing about the possibility of purchasing Super Hornet fighters from Boeing — or possibly not. First, what is the combined projected cost of the CF-18 life extension and the Super Hornet acquisition? Second, will additional money be allocated to cover these costs, or will National Defence be forced to fund these programs from existing reference levels? Hon. Peter Harder (Government Representative in the Senate): I thank the honourable senator for his question. Before I get to the question, I salute him for having his son in the chamber. I’m sure he’s grateful for that. I’m equally grateful that my son is not in the chamber for my response. Let me reassure all honourable senators that the statement made yesterday by the Minister of Defence on behalf of the government represents a very forward-looking and robust response to changing global security threats. It does commit the government to a new set of very long-term priorities, and as the honourable senator notes, defence spending as a result of this proposal will increase about 70 per cent over the next 10 years, from $18.9 billion to $32.7 billion. As well, there is projected growth in the regular forces and in investments that will be required to acquire, maintain and upgrade CF-18 capabilities. With respect to the interim arrangements, those are still being discussed. The minister will be making an announcement when appropriate. But the overall direction of the government is clear: to ensure that the commitments being stated from a policy point of view also match the commitments anticipated from this budget and future budgets to align the policy of the Government of Canada to ensure a strong, secure and engaged military. Hon. 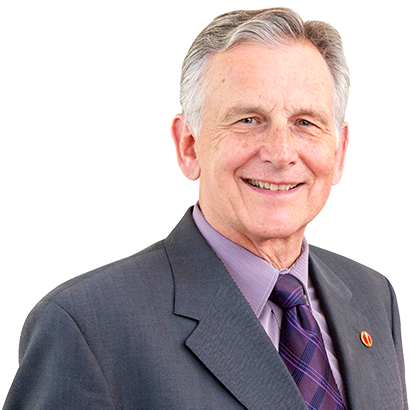 Larry W. Smith (Leader of the Opposition): Thank you, Mr. Leader. The government has discussed the need for Canada to pull its weight internationally. The Minister of Foreign Affairs recently stated that in order to have weight, we must also pull our own weight. Yet one of the first steps the government took when it assumed office was to withdraw the CF-18 fighters from the campaign against ISIL. The government indicated at the time that Canada should only play a supporting role in that campaign, not a front-line role. Leader of the Government in the Senate, given the change of heart that the government appears to have had, is it prepared to back up its words with action? Specifically, is the government prepared to reconsider its position and recommit Canadian CF-18s to a front-line role against ISIL? Hon. Peter Harder (Government Representative in the Senate): I again thank the honourable senator for his question. The government is and continues to be committed to the fight against ISIL. The change in orientation of the Canadian participation is one that was discussed and agreed to among the participating allies. The government continues to be part and parcel of the allied efforts with respect to ISIL. As those efforts evolve over time, they will evolve in the context of those collaborative discussions. It is important for all Canadians to recommit in the cause of the challenge we face with ISIL. The Government of Canada in this statement and in previous statements has been at the forefront in the fight against ISIL, Daesh or however you wish to characterize it.